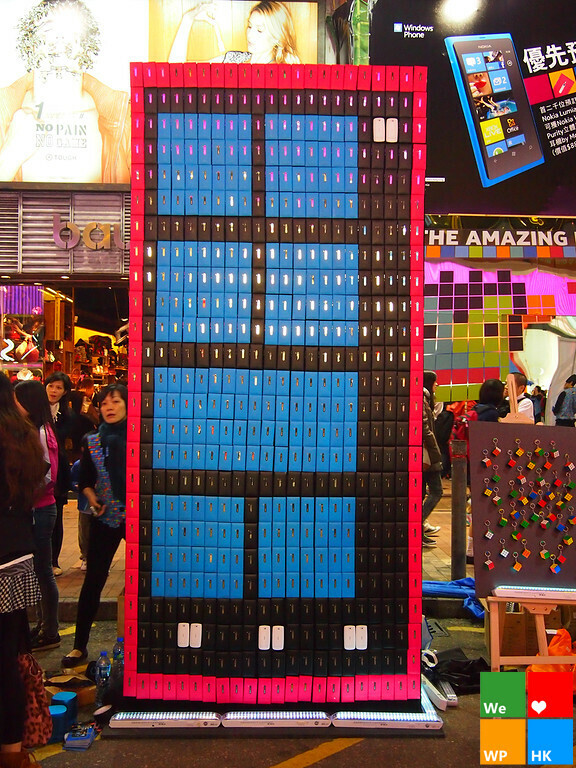 Since the giant Windows Phone display that was in Manhattan is on a trip to Paris, Nokia Hong Kong decided to make their own to promote the new Nokia Lumia 800 and Nokia Lumia 710. 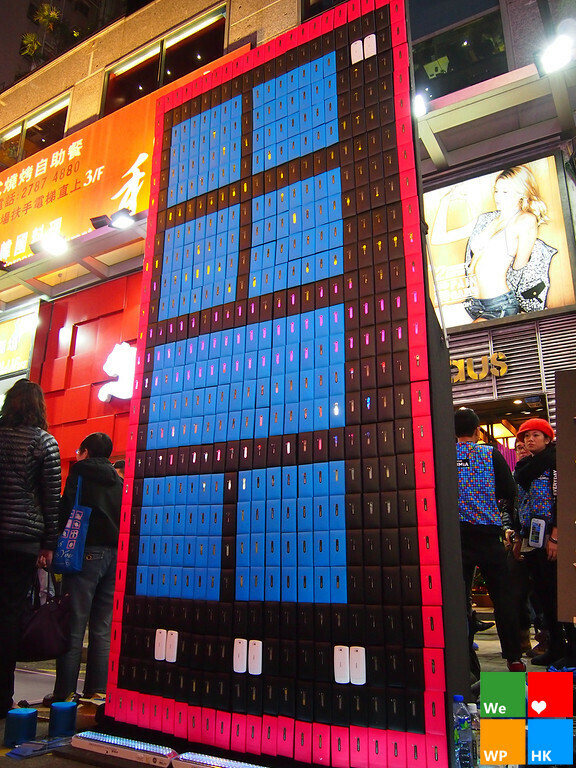 What better way to construct a giant Windows Phone than with a bunch of Windows Phones? 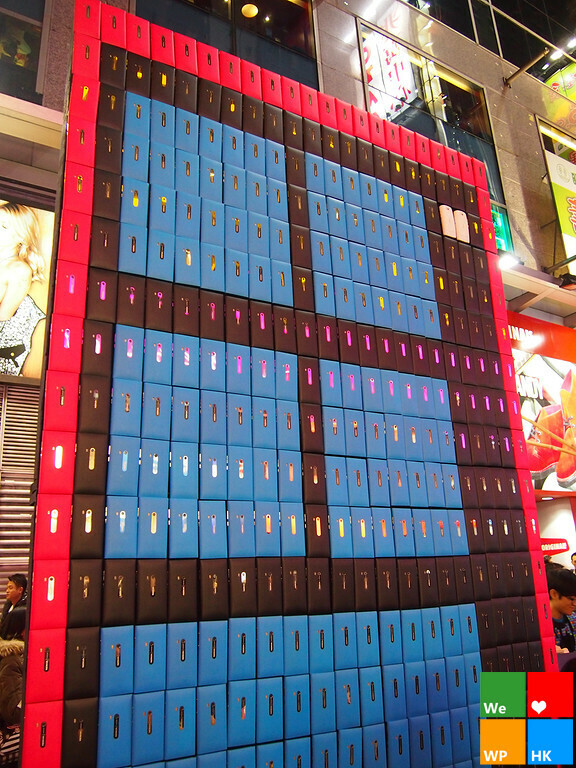 The display is made from about 550 Nokia Phones. (The good people over at WPCentral actually counted them.) The event took place in front of the soon to be opened Nokia Flagship store and featured demo phones that people could try out and leave with informational pamphlets. The event also had several sections such as one that featured gaming, one for the Windows Phone, and one for general promotion. So they couldn't sell the nokia lumia and then made a giant phone of it? They recycled it. No not rly it looks awesome. Apparantly making giant phones is totally a hype these days. Not that "nice". Couldn't they have made sure the lines were straight? Thats so cool lol. If only it actually worked like the giant nexus s i played with. 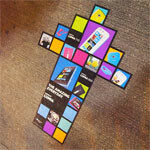 I cannot wait for the Lumia to come to the US. I won't camp out for it but I really want one. Do I see a few white Lumias there? Possibly the white N9 but who knows a white lumia would be nice.